DE-CLUTTER! Too much stuff creates chaos and makes your home feel small. A stripped bare house feels empty and cold. A few well placed accessories is the key. CLEAN UP! For the pictures, the house doesn’t have to be spotless, but make sure the kitchen and bathroom countertops are clean and the carpet is vacuumed. The spots on windows rarely show up in the photos. LIGHTEN UP! I prefer to turn on every light, so make sure that they are all working. Please try to have the lights (and lamps) on prior to my arrival. FRONT YARD: Make sure that there aren’t any cars, boats or trailers in the driveway. If they can’t fit in the garage, park them on the street where they can’t be seen from inside the house. Move garbage cans inside the garage. Close all garage doors. KITCHEN: Remove all photos and magnets from the refrigerator. Make sure that there aren’t dirty dishes or food visible. A bowl of fruit or simple floral arrangement to add a little color is always nice. A few countertop appliances are great, but if that coffeemaker or toaster has been around since the 70’s, hide it in the pantry. DINING ROOM: A simple centerpiece for the table is great. If you want, set the table as if you were going to have a dinner party. Remove children’s high chairs and booster seats. MAIN LIVING AREAS: Hide all of your newspapers and magazines. Conceal as many electrical cords as possible. Put the toys in the closet. Open all curtains and blinds. Take down any large family photos so they aren't noticeably visible in the photos. You don't need your face or your kids faces on the internet. Hide remotes and any other items that are cluttering the space. 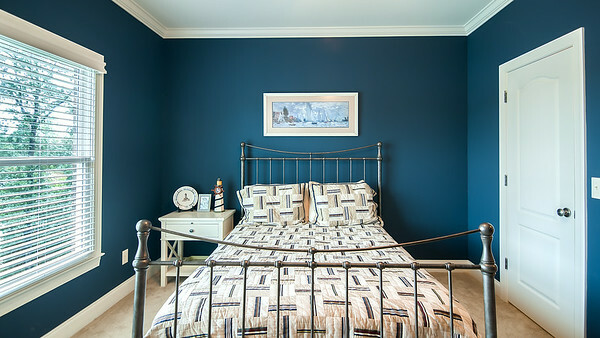 BEDROOMS: Make the bed, pick up the clothes and close dresser drawers. A few toys are fine, but avoid piles of games, books and dinosaurs all over the floor. BATHROOMS: Clean mirrors and countertops. Remove wet towels, toothbrushes, bathrobes, kleenex boxes, wastebaskets and toilet brushes. Double check the light bulbs above the mirrors to make sure that they are all working. Put the toilet seat down. LAUNDRY ROOM: I only photograph these if they are a little better than what a buyer might expect for a home in your price range. Stash your laundry inside the machines and organize any shelves. If you don’t feel it’s photographable, use it as a place to store all those extra items from the other rooms. POOL TABLES: Take the cover off and rack the billiard balls as if you’re ready to play. DECKS AND PATIOS: If your barbecue is presentable, remove it’s cover. If you have an umbrella, open it. GARAGES, STORAGE ROOMS, CLOSETS, UTILITY ROOMS: I don’t usually photograph these so feel free to use them for all those extra items in the house. If you would like them photographed, please let me know. Please have your home photo-ready prior to my arrival for the photo shoot. Thank you.